Will the American-trained filly travel over for the QIPCO 1000 Guineas or Coronation Stakes? We reckon she would be a fascinating contender. Form: 111. Trainer: Chad Brown. Read all about, read all about it. American-trained filly takes Britain by storm! Perhaps we are getting ahead of ourselves, but Newspaperofrecord looked something out of the ordinary in her native America last year and her connections have hinted she may be seen on British shores this summer. We are used to Wesley Ward-trained raiders making their mark at Royal Ascot, with Lady Aurelia, in particular, dazzling at the meeting in 2016 and 2017. In addition, the outstanding Tepin journeyed from the USA in 2016 to land the Queen Anne Stakes. However, most of Ward’s challengers have been sprinters and Tepin was aged 5 when travelling over. 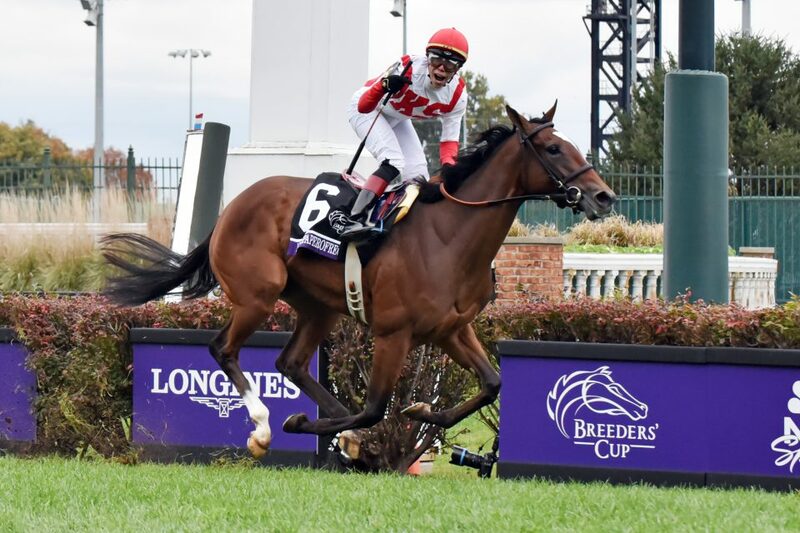 NEWSPAPEROFRECORD 🗞️wrote a few headlines at last year’s @BreedersCup, and she could be heading across the pond for the 2019 Series! Newspaperofrecord would represent something different as she is a three-year-old filly and each of her three wins have been achieved over a mile. No American-trained horse has won a British Classic. She was a runaway winner on each occasion under Irad Ortiz Jr and dazzled when landing the Breeders’ Cup Juvenile Fillies’ Turf by seven lengths in early November. The previously unbeaten East, trained by Kevin Ryan, chased her home, while Aidan O’Brien’s Just Wonderful, who had won the Group 2 Rockfel Stakes on her previous start, was beaten a total of eight lengths into fourth. Meanwhile, The Mackem Bullet, touched off in the Lowther and Cheveley Park, was sixth, with Charlie Appleby’s La Pelosa, who boasted a useful level of form, was back in tenth. There is plenty of substance to that Breeders’ Cup triumph, then, and Newspaperofrecord could not have won any easier. She would be a fascinating challenger in either the QIPCO 1000 Guineas at Newmarket on May 5 or Coronation Stakes at Royal Ascot on June 21. She is a general 10-1 for the 1000 Guineas, the same price as Just Wonderful. Incidentally, the daughter of Lope De Vega, the French Guineas and French Derby winner, was sold for 200,000gns at the Book 1 sale at Tattersalls in Newmarket in 2017. Many British trainers present will be kicking themselves. She has proved to be bargain buy and there could be plenty more to come.